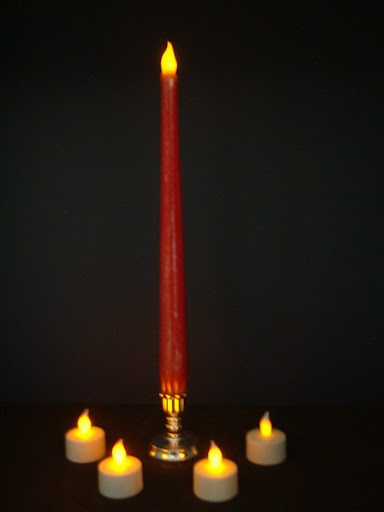 Each candle can be turned on and off by simply rotating the base slightly. The candle is topped with a flickering flame shaped LED bulb. 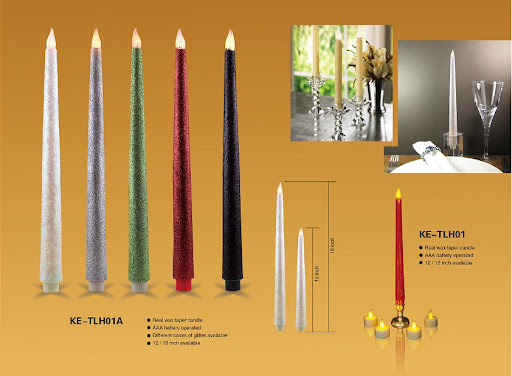 Add the perfect finishing touch to your home decor for the holidays and other special occasions with these 12" wax taper LED Candles. 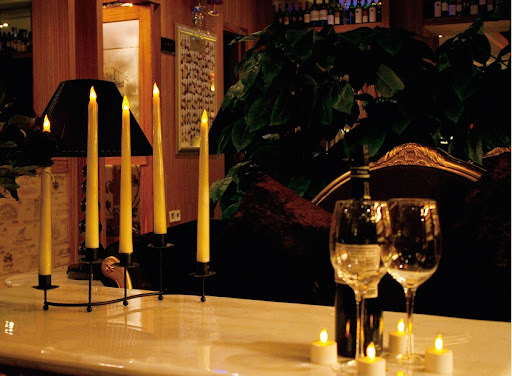 The candles are battery operated, and are lighted by a flame shaped flickering LED bulb. LED candles are a safe alternative to burning candles because they are flame free, and smoke free while at the same time providing realistic features, extended battery life, and the quality to satisfy high expectations.